Danny Fyffe, Johnny Thomas, Gregory Billycan and a few other lads got the team going again in 1988 and it was then that they began calling themselves - 'The Emus'. Danny coached and they won 1 game for the year against Towns They lost one game by 27 goals. 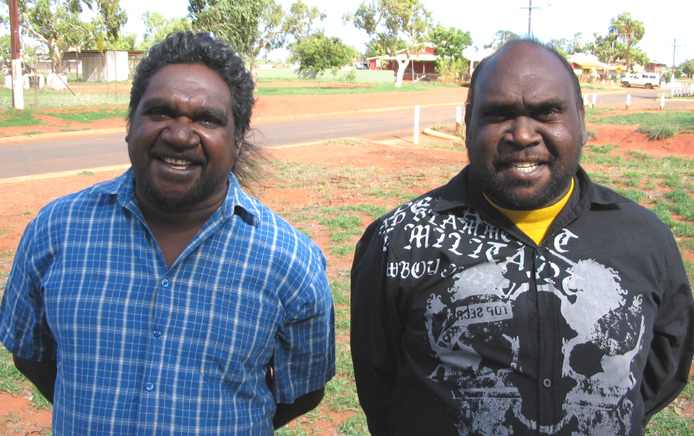 1989 saw the Broome based Karajarri guys, Pius Gregory, the Edgars (Wayne and Joe), Zulie Bin Rashid 'Guddy' King, 'Dooly' King and Anton Roe. Alan Bishop coached those boys in town and John Thomas and Danny Fyffe coached the guys at Bidgy. They supplied 8 guys each week and Bidgy supplied 14. 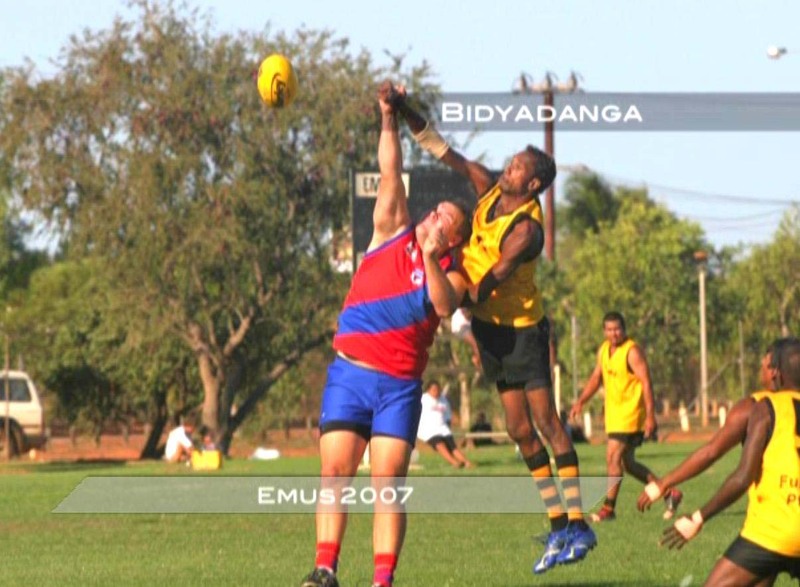 That year Bidyadanga finished 3rd on the ladder and made the preliminary getting knocked out by One Arm Point. 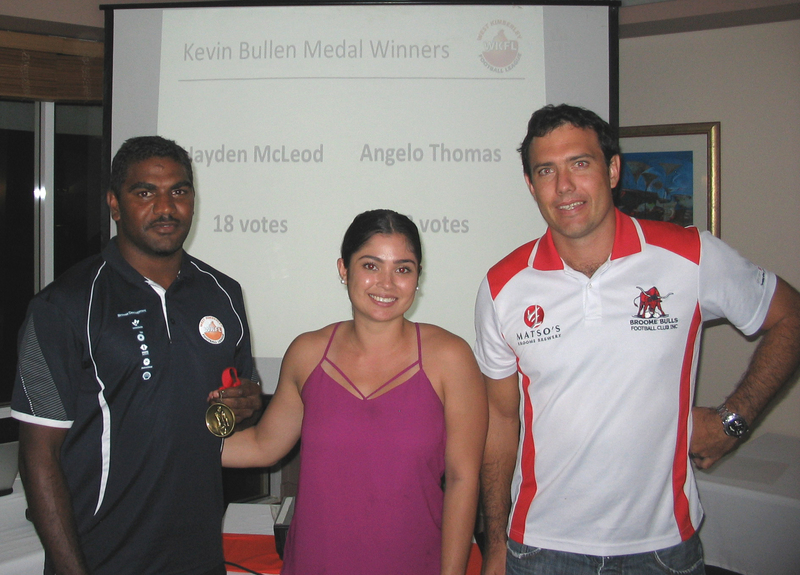 Bidyadanga 8 goals 18 points to Beagle Bay 9 goals 9 points (Terry Cox kicked a lazy 7 that day for Beagle Bay). 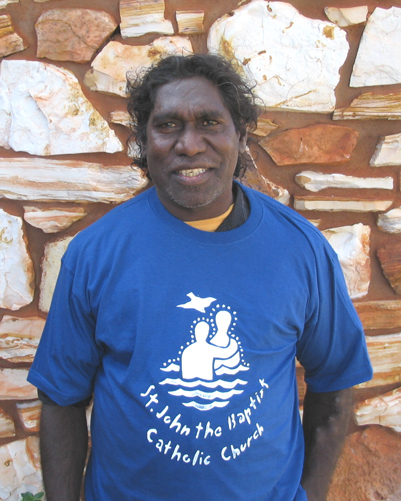 Hall of Fame: Danny Fyffe (LM at Bidyadanga 1980,81, worked at the community 1987-1990, Bruce Whyardie, Johnny Thomas, Terrance Jack, Arnold Bamba, 2016 Angelo Thomas. Would like to follow on from Andys sentiments and as a board member of the club and a sincere friend would like to express my sadness on the passing of the clubs president JT. A premiership player, premiership coach and also a premiership president what a list of achievements. A humble man who had a great passion and enthusiasm for the football club. 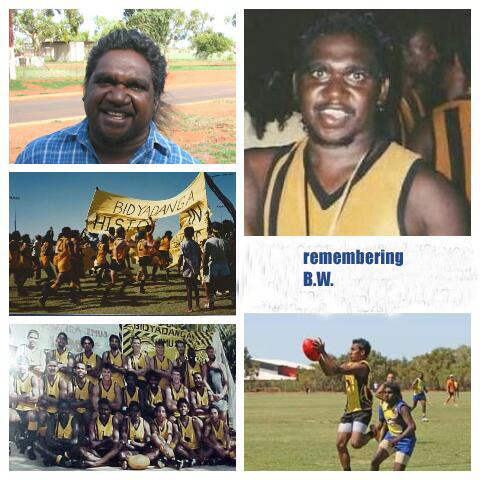 A role model and mentor to so many of the young men who wear the emus jumper each and every week. A terrific family man who made each and everyone one stand taller with his presence and his words of wisdom at the footy. He has left a lasting legacy for the football club, the community and also for myself. One that I am sure his family will carry on for many generations to come, not only with your sons and daughters who with play with the Emus and the soon to be women's Emus but also your many grand children and family who you were so proud of and all who adored you just as much. A terrible loss to so many. My love and thoughts with all of the family. You will be deeply missed. He showed great leadership and pride on and off the field...!! He hung his boots up. In 2004 Wayne Edger brought on another Premiership. 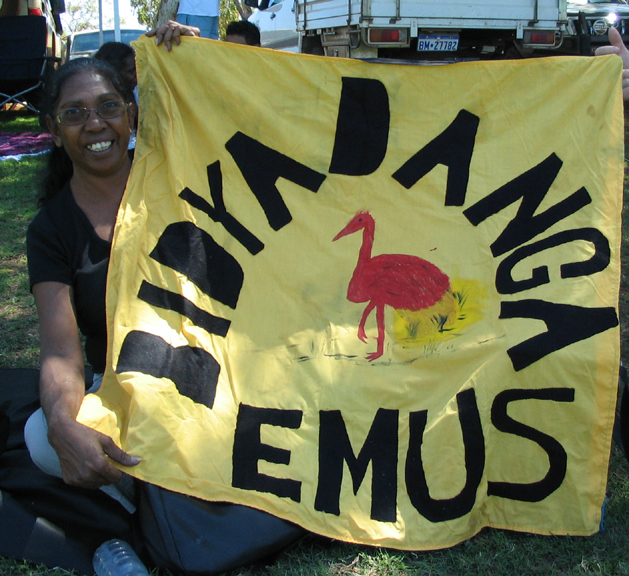 He then encouraged and supported the younger side of the Emus. His only son Lester.Banks joined the Emus and finally won his 1st Premiership in the Year 2016 in the big clash against the Looma Eagles. ! 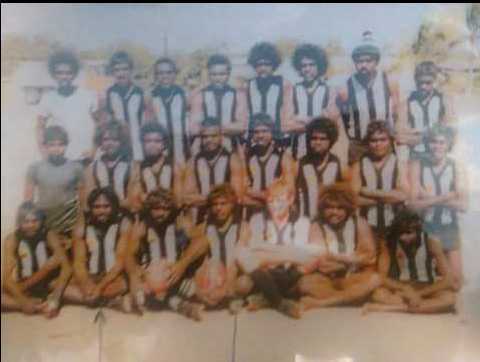 1989- the Bidyadanga Emus finished 3rd on the ladder. YOU WILL BE VERY WELL REMEMBERED BY MANY CHAMP.